Prefab Building Suppliers Compete. You Save! Instead of spending hours searching, just complete this easy form and we’ll connect you with a few quality modular & metal building suppliers who’ll provide competing price quotes for you to compare. Select which prefabricated solution fits your needs. How do you plan on using your metal building? 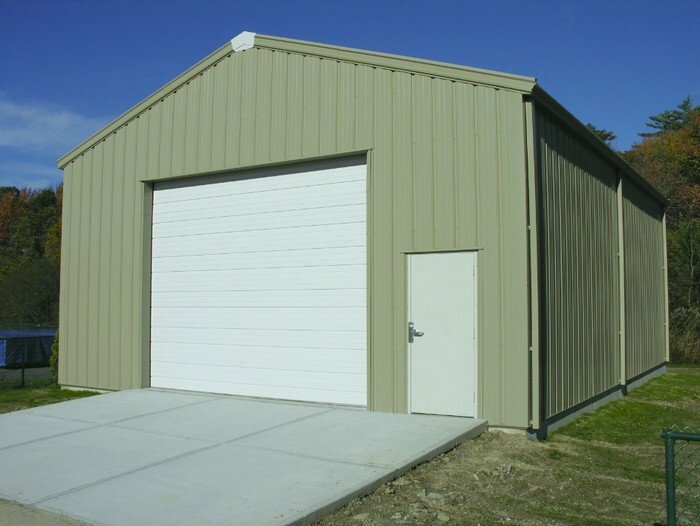 What are the approximate dimensions needed for your metal building? Are you interested in price quotes for any of these other products and services? Get FREE quotes from several suppliers to compare. No obligation. If you are mulling over efficient ways to build a home, prefabricated structures are the way to go. Though many people mistakenly associate prefab with tacky boxes pre-assembled and brought to the desired location, modern prefabricated buildings will dispel that notion. Contemporary prefab buildings – be it the basic components or an entire floor/level – are characterized by speedy yet quality construction. There are prefab buildings that are geared for the high-end market, and there are those that cater to building owners working with a tight budget. One of the advantages of using prefabricated panels is that it lessens on-site waste a great deal. Prefab is oftentimes in alignment with energy efficiency. Some building designers make sure that their prefab products are designed to be in consonance with green living in the urban context, resulting to awesome structures. A building structure may use lots of recyclable materials and not generate too much energy, more so when Energy Star-certified appliances are used. Modular prefab structures tend to be more cost-efficient and remove about two-thirds of the amount of time it requires to build a conventional dwelling place or commercial establishment. One of the highly favored materials used for prefab buildings is steel. While massive timber gives an assurance of strength, a metal prefab building is certifiable durable. Steel frames also happen to be fire-resistant and can withstand molds and fire. Unlike some types of wood that are prone to insect damage, steel frame is pest-resistant. Prefab construction pieces may be a combination of wood and metal or other new building materials. In some instances, the first level may be made of prefab panels, while the second level including the roof may use timber framing. In certain parts of the world like Asian countries, some very fast, high-quality and cost-efficient construction method falling under the prefab buildings category have gained wide use. Beauty can be seen inside and out, which is better than the substandard practices resorted to by some contractors – emphasizing an attractive outside appearance to hide interior defects. Well, reliable companies specializing in topnotch prefab buildings may ensure the building structure’s structural integrity. Some offer prefab structures with walls that are fire-resistant, termite-proof, properly insulated and free of cracks typically seen in conventional construction. If you compare a paneled building with a traditionally built one, you will marvel at the vast savings in man hours and materials. There are also much less wastes and less cleanup costs with paneled building. Nowadays, prefabricated structures have surged in popularity and can be easily bought and delivered to the desired site. While wooden prefabricated structures can be long-wearing and offer a unique & warm look, a building with steel frames can look clean and is actually very durable. Steel frames also offer a modern industrial look which looks particularly great for offices or quarters with a minimalist, elegant look. Most builders reap the benefit of economy in using metal for prefab buildings. It translates to cost savings in labor. Moreover, most options embody quality and workmanship. A prefab steel building can withstand extreme weather conditions, making them ideal building options for places where snow, hail, and torrential rains occur. A prefab steel building may also be customized right down to the owner’s desired specifications – size, doors, windows, walls, stairs, and dimensions. There is much freedom to get the best features that are best fitted for the architectural design that building owners have in mind. Building owners can customize their prefab construction pieces by choosing the most suitable finishes, cladding, and facades that will bear their personal mark. Skylights, porches, storefronts, and modern window shutters are but some of the accessories that can enhance prefab steel buildings. Another benefit of a steel prefab building is low maintenance. A high-strength prefab steel building can be quite easy to clean. A neat and attractive, not to mention economic, use of space can be easily obtained with a metal prefab structure. As for the other highly favored material for prefab buildings, namely wood, one of the main advantages is the relative lightness of wood. Using prefabricated wood modules can drive down building cost by about 25 percent compared to on-site building. The huge time savings accounts for that. An important component of a building structure, the stairs, may be prefabricated as well. Building & design professionals may suggest prefab stairs from laminated strand lumber, sanded and finished with a sealer, and the engineered lumber can be amazingly strong. Prefab stairs may have cherry wood handrails and stainless steel cables that offer both functional use and aesthetic appeal. In the modern age, sustainable buildings that suit people’s lifestyle and budgets are becoming highly sought. There are highly professional companies that offer prefabricated structural insulated panels or SIPs that incorporate timber frame, used for common areas of a building. When taken apart, a timber frame can be used to build another thing. Steel frame, likewise, is a most recyclable component of prefab buildings.